We are currently on the look-out for sponsors to advertise on this website. Since this blog is geared toward those with babies and young children with eczema, there are two kinds of advertisements we would be looking for. 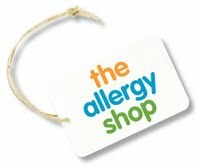 For products that help control eczema, we would want to receive a free product to try on my son first. We do not want to promote anything that we have not tried. Then we would do a post reviewing the product honestly. If it is a positive review, we would include a link to purchase the product. This link may or may not be an affiliate link. We would then offer the company advertising space on our site. We reserve the right to decline any offer for any reason. We will not advertise any product that received a negative review. We may advertise a product with a neutral review (because we understand that what doesn’t work for some may work for others). Examples of other products that help meet the needs of eczema sufferers would be 100% cotton clothing, bottles for those who need special formula, cloth diapers, laundry detergent for sensitive skin, etc. If you think your product would qualify, contact us. We may or may not request a free sample and we may or may not do a review of your product before offering advertising space. Each offer will be considered on an individual basis. All prices will be negotiated at time of contact and will be based on current traffic and position on the page. Priority will be given to the first category of products in terms of space and position. 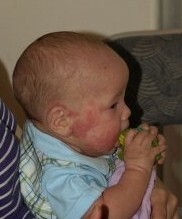 For products that help control eczema, we would want to receive a free product to try on my son first. Then I would do a post reviewing the product honestly. If it is a positive review, we would include a link to purchase the product. This link may or may not be an affiliate link. I would then offer the company advertising space on my website. We reserve the right to decline any offer for any reason. We will not advertise any product that received a negative review. Examples of products that help meet the needs of eczema sufferers would be 100% cotton clothing, bottles for those who need special formula, cloth diapers, laundry detergent for sensitive skin, etc. If you think your product would qualify, contact us. We may or may not request a free sample and we may or may not do a review of your product before offering advertising space. would qualify, contact us. We may or may not request a free sample and we may or may not do a review of your product before offering advertising space.